A moving violation is a breach of a traffic law which happens while the accused driver’s vehicle is in motion. If you or someone you know gets a ticket for a moving violation, that means the law enforcement officer who cited you believes that you broke a traffic law while you were driving your vehicle. Moving violations can include a number of things such as driving through a stop sign, making an improper turn, driving under the influence, or even committing a hit and run. Not surprisingly, most non-moving violations have no relation to how the accused was driving his or her car. Instead, virtually all non-moving violations are the result of issues with your vehicle (i.e., a broken tail light) or paperwork (i.e., expired vehicle tag). Other examples of non-moving violations include parking tickets, failure to have insurance coverage, or an expired registration. There are also non-moving violations that actually occur while the offender is driving his or her vehicle. The most typical ones include red light camera or speeding camera tickets and seat belt violations. Many states, including Nevada, consider red light or speeding camera tickets non-moving violations even though they happen while the vehicle is in motion. Likewise, a majority of the states in the nation with seat belt laws consider the failure to wear one a non-moving violation. In some states, whether a violation is a moving or non-moving one is fact-determinative. Under any event, unlike moving violations, non-moving violations generally will not result in points against the accused’s driver’s license. While getting a ticket for a moving violation once every 10 years or so will likely not affect you too much, a series of convictions due to breaking traffic laws can affect both your driver’s license and your vehicle insurance. Failure to dim the vehicle’s headlights, 2 points. Depending on how much the offender is driving over the limit, the points for speeding vary from one to five. Generally, points stay on a person’s driving record from two to five years. If an individual gets too many points within a specific period of time, his or her driver’s license is at risk of being suspended. Likewise, car insurers review a person’s driving record to determine the insurance premium. Typically, the more serious the violation the greater the effect on coverage and premiums. Additionally, several minor violations that have accumulated over a short period of time can be as detrimental as one major violation. The details depend on the car insurance company’s underwriting policies. 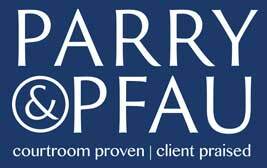 If you or someone you know has been cited with a moving or non-moving traffic violation, contact the knowledgeable Nevada attorneys at Parry & Pfau today. With years of experience representing clients across the state of Nevada, these attorneys can guide you every step of the way. Newer PostIs it Legal to Ride a Horse on the Road?